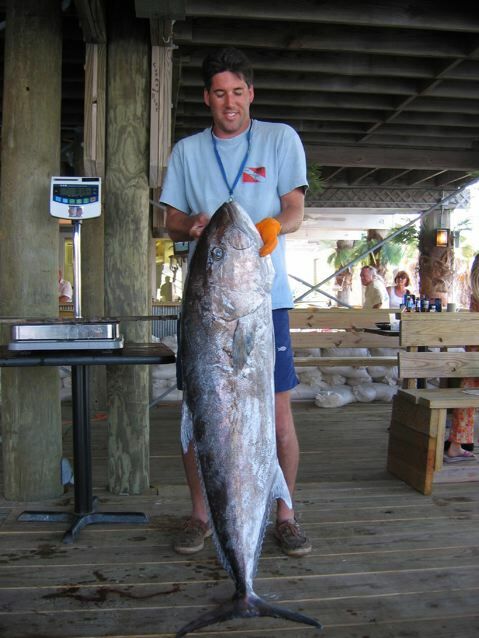 Dan Plank with 1st Place amberjack 112 lbs. 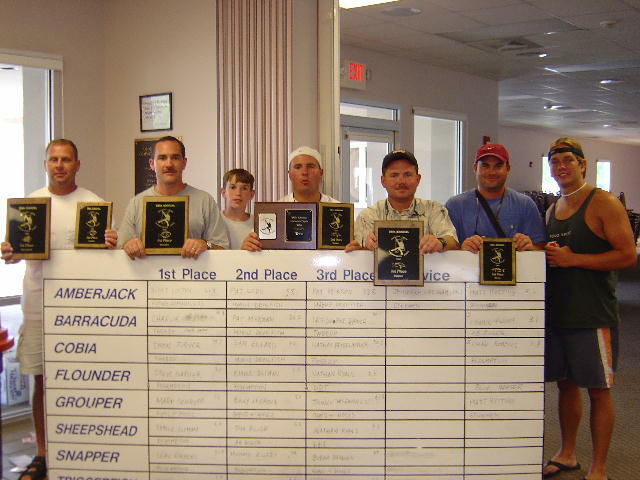 and Chris Price with 2nd Place 82.60 lbs. 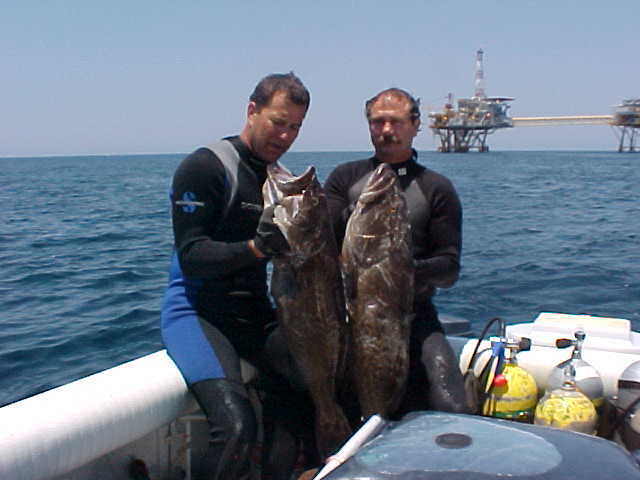 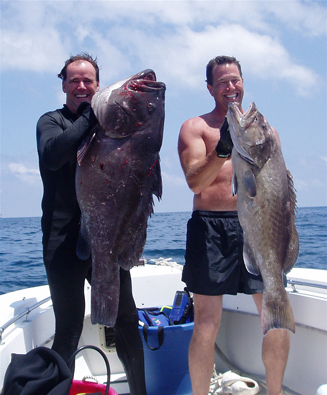 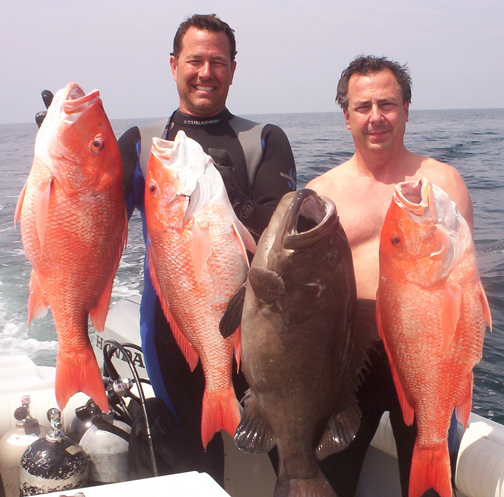 Charlie Meyling and Nathan Friedlander with grouper and red snapper. 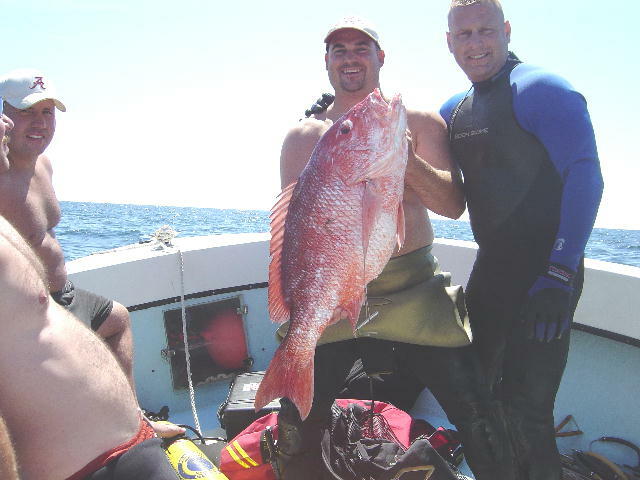 Wade Collier and Charlie Meyling with 1st and 2nd place red snapper. 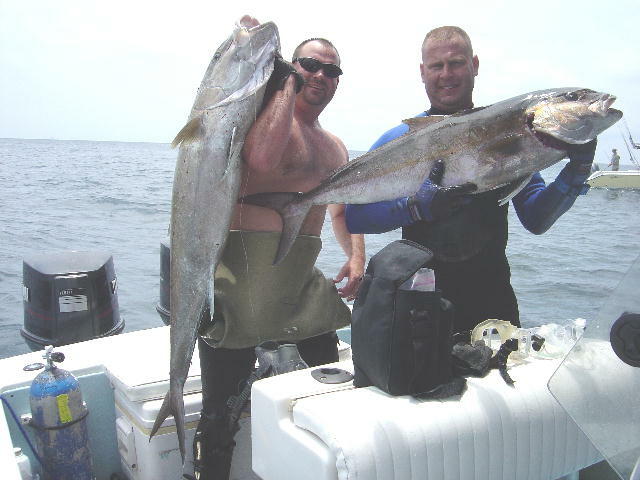 Chad Robbins and Emile Sliman with amberjack. 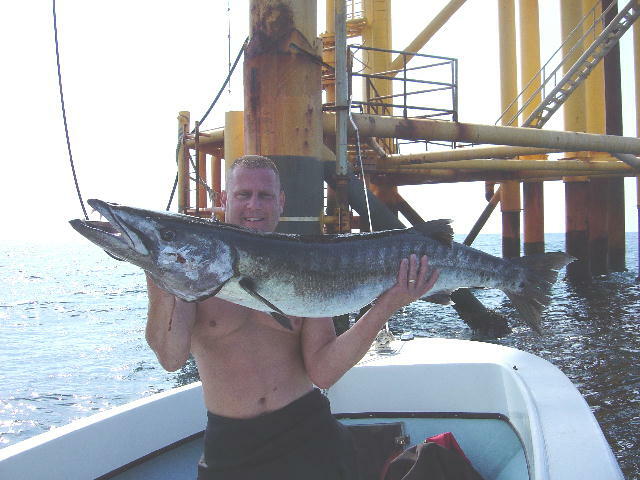 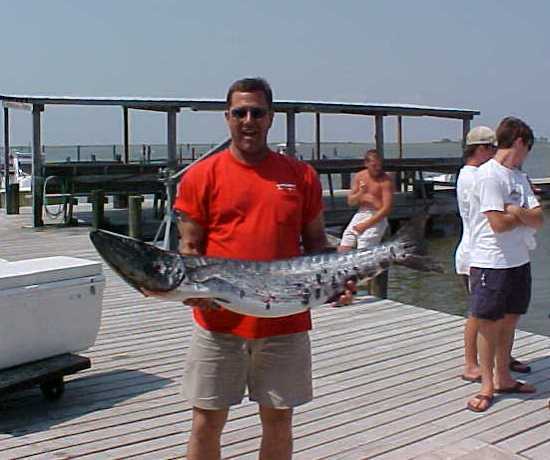 Emile with 1st place barracuda 40.5 lbs. 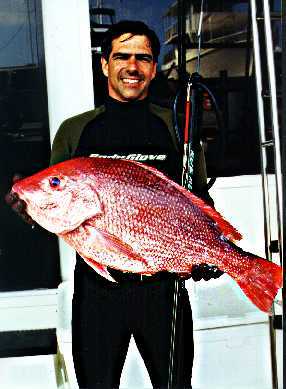 Chad Robbins with 2nd place red snapper 24.8 lbs. 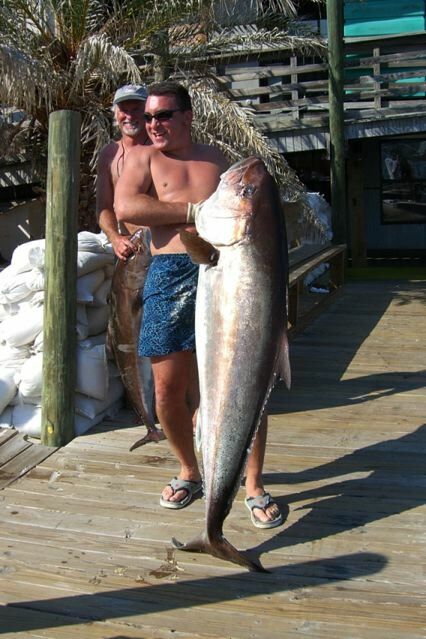 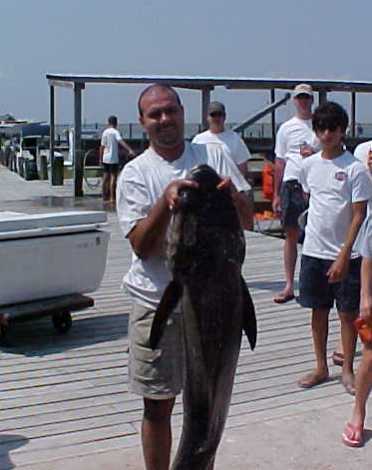 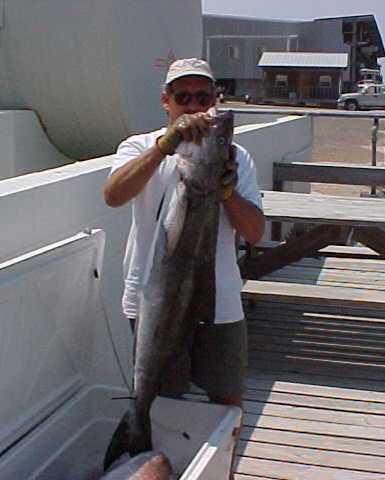 Dan Ellard w/cobia. 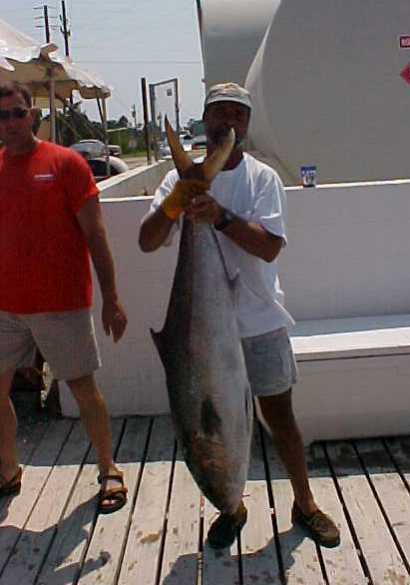 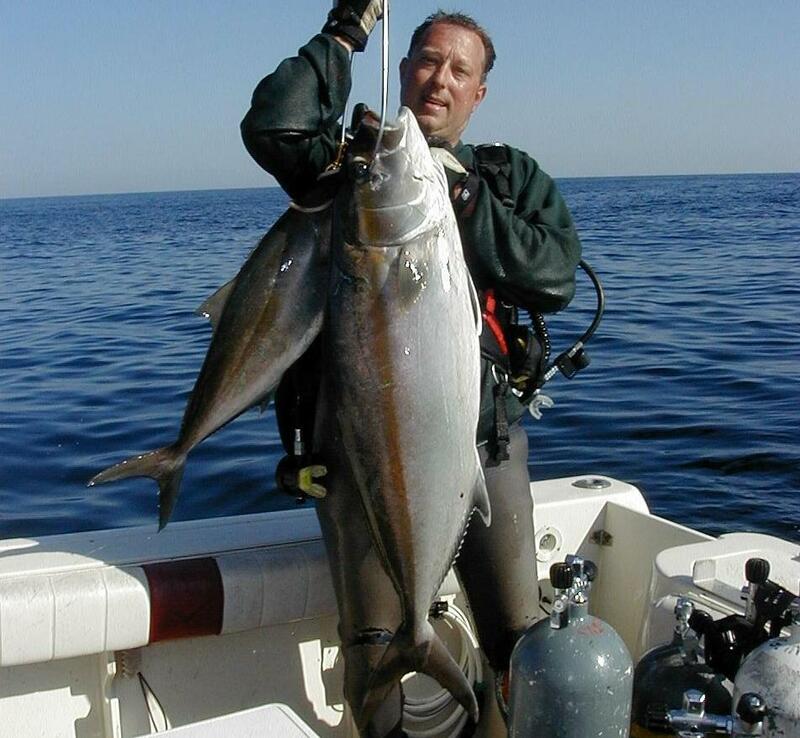 Pat Lods w/amberjack. 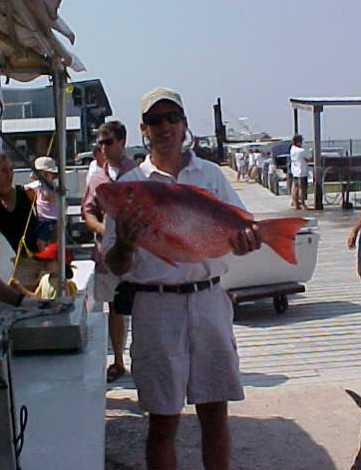 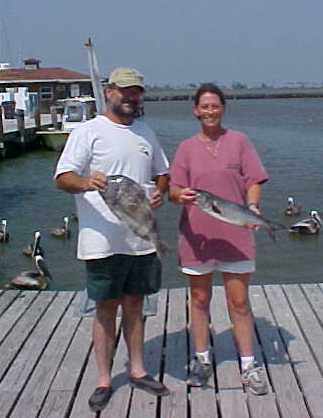 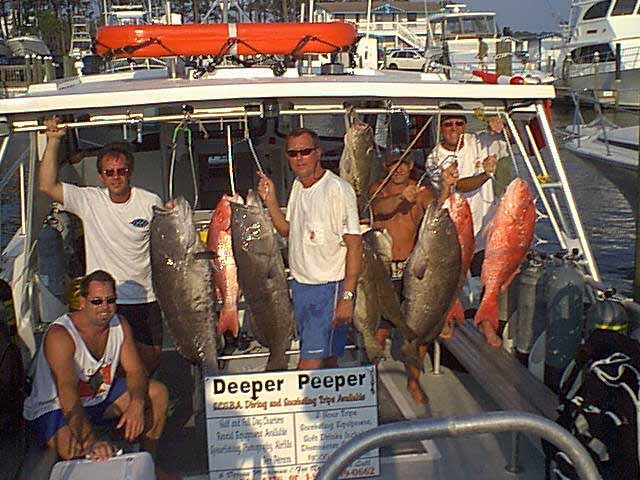 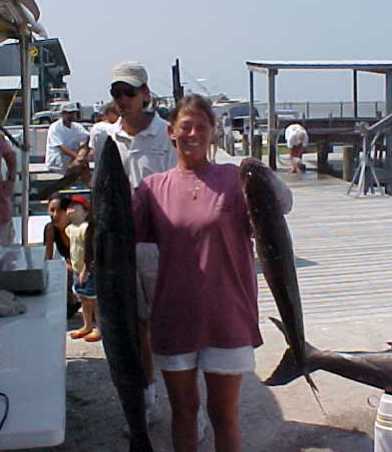 Tom Biller with red snapper, Scotty Plumb w/record sheepshead and Connie Plumb w/barracuda. 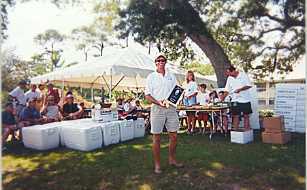 Stickman Matt Rytting, Bluewater winner. 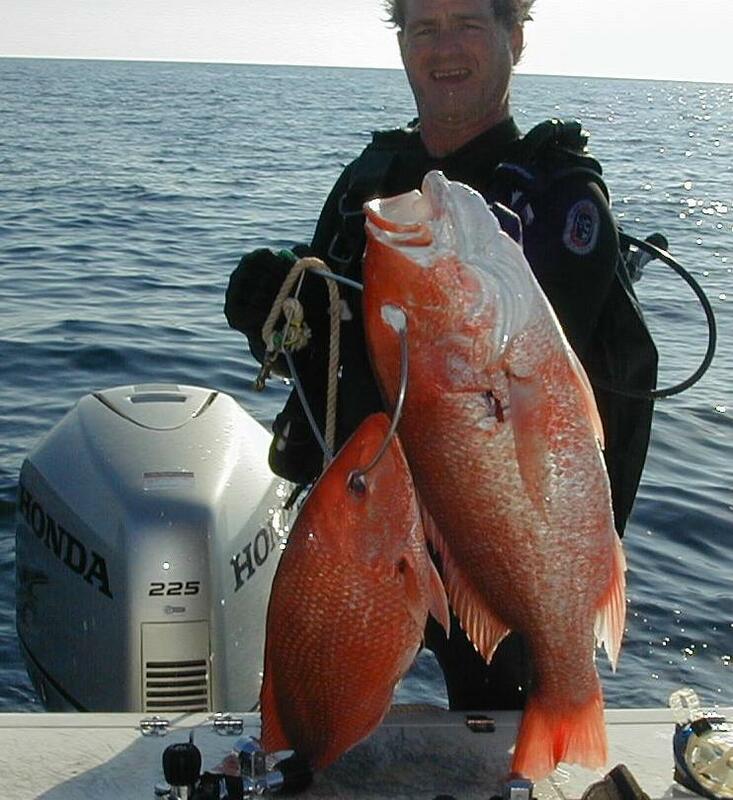 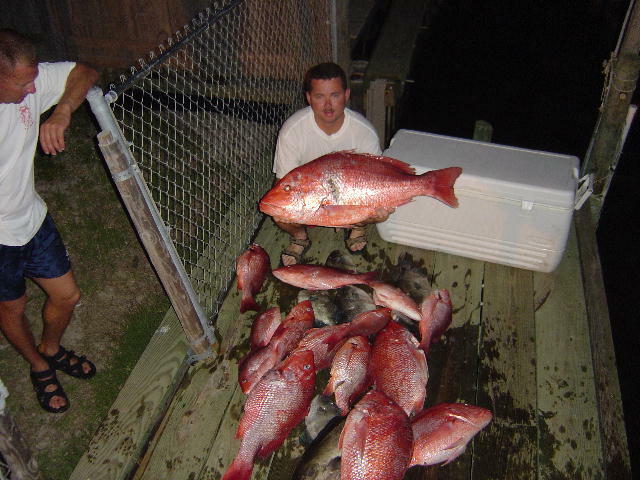 Gordon Morton with a couple of snapper. 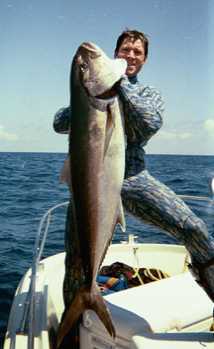 Freediving Stickman Marcel Garsaud with an amberjack. 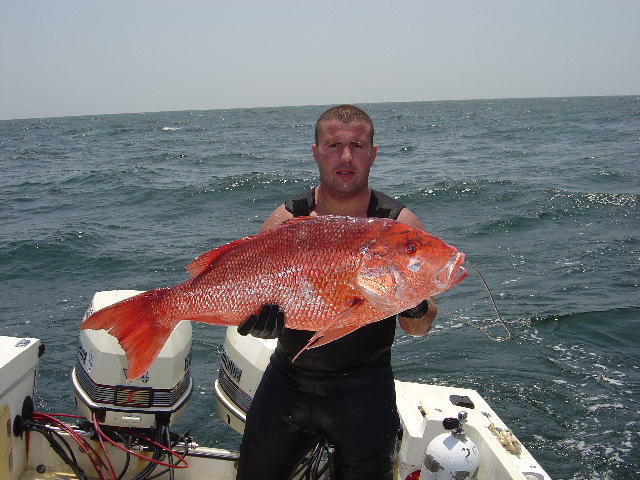 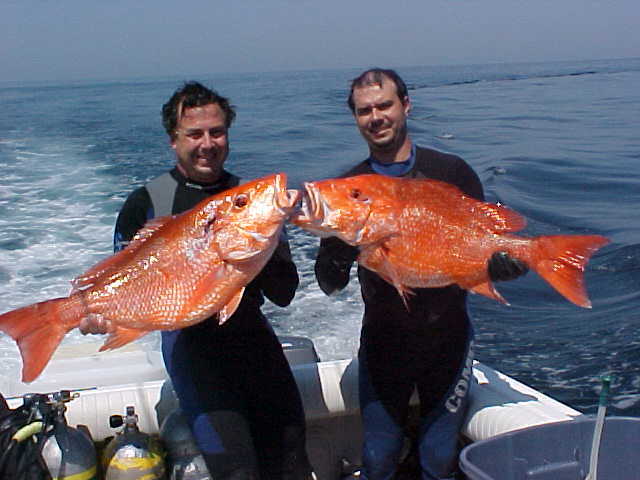 Nathan Friedlander and Shon Turner with red snapper. 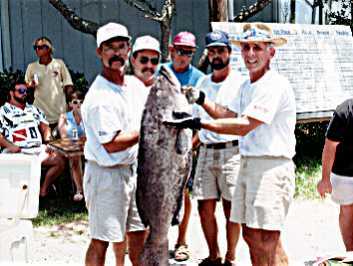 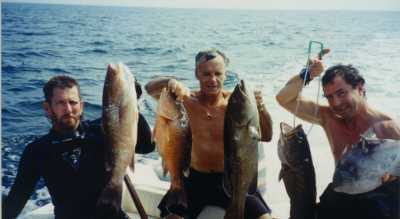 Charlie and Norborne with a couple of grouper. 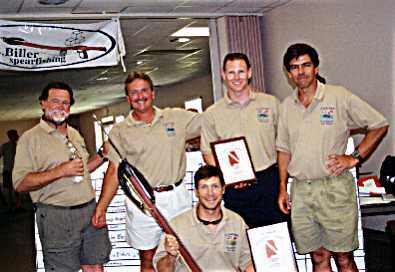 their awards from President Norborne Turner. 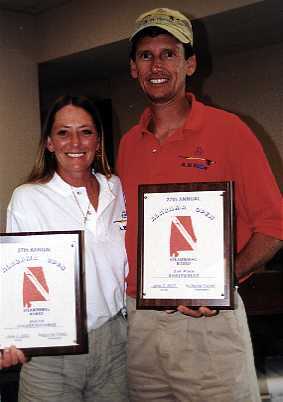 Connie Plumb and Thomas Biller. 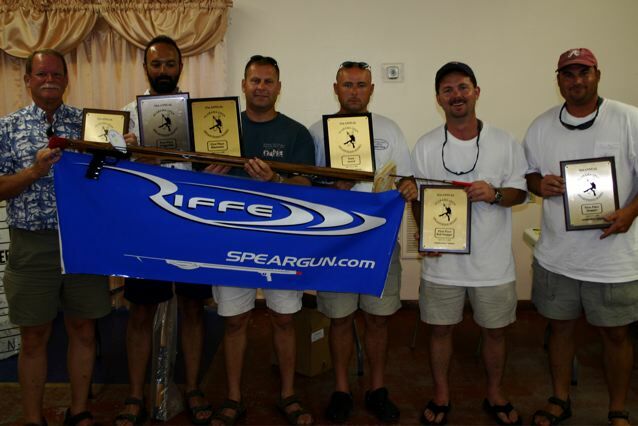 Two of four Stickmen trophy winners, Marcel Garsaud and Matt Rytting. 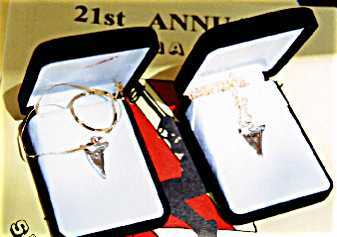 King and Queen prize a solid gold sharks tooth. 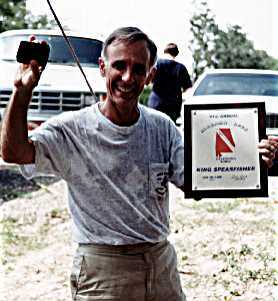 King Pat McKean. 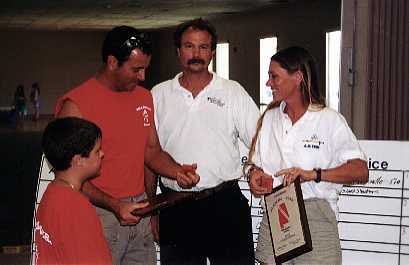 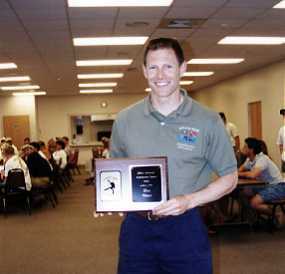 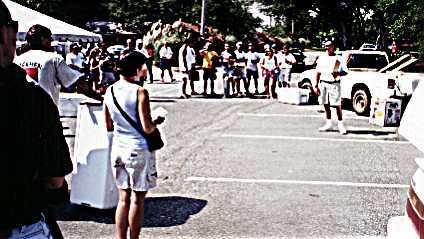 Awards Ceremony. 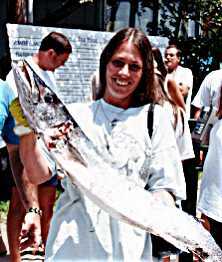 President Norborne Turner Queen Connie Plumb. 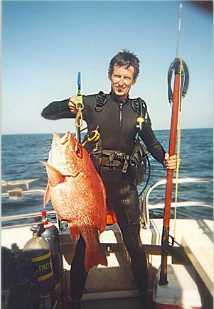 Mobile Devilfish weighing in. 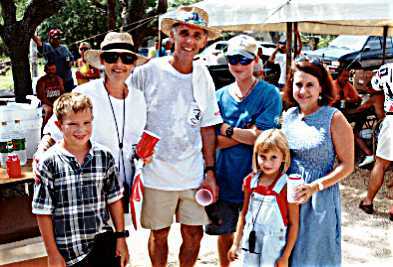 Family oriented fun.